The finding of a treasure trove of so-called ‘degenerate’ art in a Munich flat will trigger many challenges for Germany, not the least of which is, what to do with all these unique and, inevitably, many-storied art works? If, as seems likely, many of the art works had been stolen from their original owners around 70 or so years ago now, then those art works should, each and every one of them, be returned to the heirs of those same dispossessed owners, wherever and whoever they might be. Doing that, or getting close to doing that, is the great challenge now faced by, initially, the German authorities. But in the end it should not be a challenge faced, nor indeed resolved, by them alone. 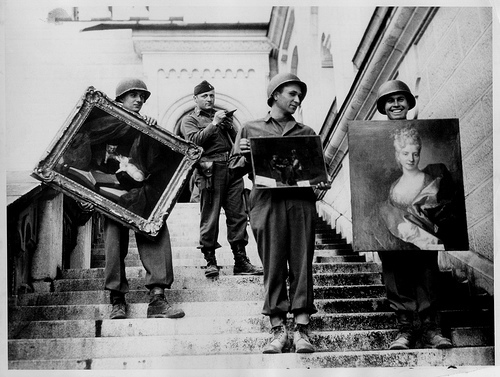 Undoing the great harm of the theft of any work of art, and all the more so when the theft was part of the greater evil of the Nazi regime and was perpetrated amid the chaos and uncertainty of gathering and then actual war, is a uniquely international problem. It demands both an international but also a creative answer. Leaving the fate of these precious works of art, and the hopes of the many and various claimants, handicapped as they will by the burdens of lost memories, lost or destroyed evidence, departed or disappeared witnesses, and all the ragged turmoil of the passing of the years, to the vagaries and the lottery of an administrative or judicial process within a domestic legal system is an inadequate response. What is needed to meet this challenge is, in short, an ad-hoc International Art Crime Tribunal. Such a Tribunal would be assisted by art historians, provenance researchers, advocates to assist the commission and, crucially, claimant advocates and advisers to work with claimants so that they can properly and effectively present their claims. By this means the Tribunal could create the kind of independent, neutral ground necessary for the lasting resolution of the disputes that will inevitably arise concerning the stolen art. The Tribunal should be entrusted with the task of resolving the fate of each work of art, not only by deciding the historical and legal claim or claims to it, but also by explicitly evaluating, and giving equal weight to, the moral claim of the claimant. This is crucial – in the past claims to art looted in wartime have been undermined or destroyed by an insufficiency of legal evidence to establish prior ownership, where the moral claim for return of looted art is clear. The Tribunal would have the ability to adjudicate and determine claims by a binding judgment. But throughout each claim process, a spectrum of alternative dispute resolution tools should be employed to resolve claims by agreement, and, if appropriate, to resolve claims by agreed solutions, which may enable unresolvable factual, legal or historical issues to be acknowledged but left unresolved. In addition, the Tribunal should seek not only to return the paintings found in the Munich flat, but should also proactively pursue those sold over the years by Herr Gurlitt. Media reports record that he was, from time to time, seemingly in the habit of selling individual works, to defray living expenses and the like. It would be unlikely that any gallery handling the sale of works such as these could claim to be ignorant of the vast history of the Nazi campaign against degenerate art, nor indeed would many collectors be similarly unaware. That paintings such as these would suddenly appear, unannounced and unaccompanied by any real provenance, inevitably triggers an immediate obligation to seek out such provenance and, in its absence, at the very least to refusing to handle the sale. The fate of those stolen art works that he sold should not be ignored. There are great challenges here, but also great opportunities. Answering the difficult question, what now to do with these art works, must not, in the answering, create a whole new set of tragedies and a legacy of bitterness and regret. There is enough of that already bound up in this story.